What are the different DMARC record tags. The DMARC record explained. 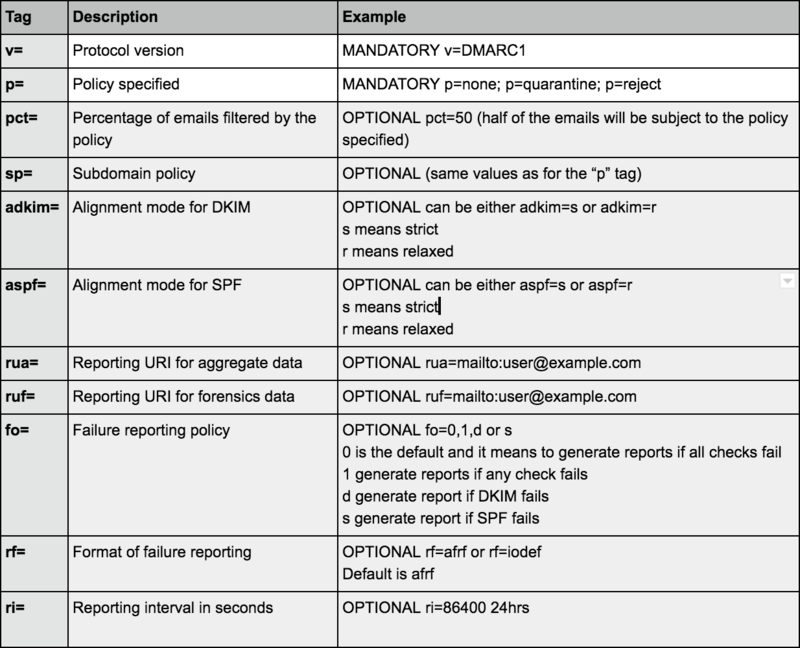 DMARC policies could be one of three, “none”, “quarantine” or “reject”. “none” means that DMARC is in reporting mode only. No action should be taken on the messages as specified by the sender. “quarantine” means that messages that fail DMARC should go in the junk or quarantine folder as specified by the sender. “reject” means that messages that fail DMARC should be rejected as specified by the sender. The policy shows that 100% of failed emails should be rejected. It also shows where the aggregate and forensics reports should be sent to. For information on what DMARC alignment means, click on the button below.